Teachers are used to taking work home. Assignments to grade, reading to finish, lesson plans to write – there’s always a stack of papers, a USB drive, or textbooks that have to be shuttled back and forth. But what if lesson plans and other vital paperwork didn’t need to ride home every night on the passenger seat? What if all the information was already there, waiting to be opened on every teacher’s home computer? Teachers who work at schools with cloud-based student information systems (SIS) have this power – and many other abilities as well. Creating and collaborating on lesson plans is especially easy when those plans are stored in a cloud-based system. Here are seven benefits of moving your lesson plans online. The power to share lesson plans in the cloud lets teachers adapt and improve their efforts in a classroom quicker than they could in the past. Before cloud sharing, exchanging lesson plans included a hassle-filled morning at the copy machine or extensive hand-written notes. 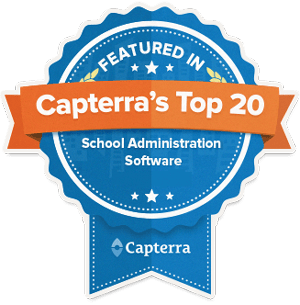 Today, student information systems allow teachers to collaborate on a larger repository of ideas that are proven and tested in the real world. Administrators can also access lessons and communicate with teachers directly. Teachers can also share lessons with colleagues and save lesson plans to a template collection, for easy reuse in the future. Speaking of home computers, lots of teachers have a computer at home that they might prefer to use instead of bringing home their school-provided laptop. Of course, this is only possible if they have access to school information at home. 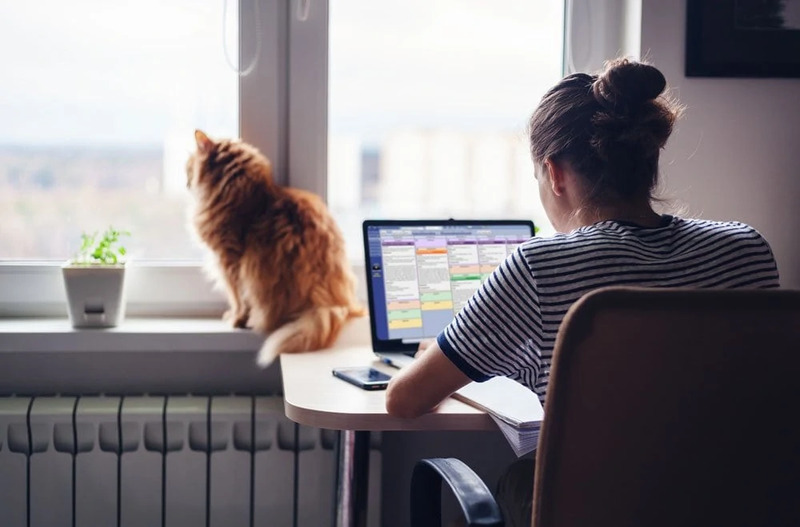 Storing school information in the cloud allows teachers and staff the freedom to work on school-related tasks from any device, not just school-provided laptops. In addition to the increased ability to collaborate (see #1), teachers have access to all their information via the cloud and can work from their preferred device regardless of location. As TeachThought points out, if your current lesson plan system isn’t making teacher’s lives easier, it might be time for an upgrade. For example, if your school is considering moving from an on-premises system to the cloud, the new tools should enable users to do a better job with less effort. This includes reducing word processing time and duplicated work by keeping records and planning enclosed within the same system. Moving lessons and other digital resources to the cloud can also make schoolwork more efficient for students. When worksheets are available as downloads from a central location, students don’t have to worry about leaving important papers at school – they can just print out a new copy from their home computer. And once students are comfortable with this system, teachers won’t have to print as many assignments and waste as much paper at school. Lots of teachers rely on their home computers to prepare lesson plans and information for their students, and use email or a USB drive to transfer that information to their devices at school. But what if one of those devices is lost, stolen or damaged? The lack of a dedicated, device-independent backup could cost hours of work and cause massive stress and frustration. Cloudwards notes that you don’t have to worry about losing data to a faulty device in a cloud-based system because everything is backed up offsite. Also, concerns about accessing sensitive information are reduced since a username and password are required to get access to the cloud backup service. You can also set additional passwords on individual folders or place restrictions on what people can do with the contents for added security. Teachers often find themselves spending more time on a lesson than they intended to. Sometimes an unexpected event or delay can require “bumping” large portions of their lesson plans around on the schedule. Good systems make it easy to extend lessons, move plans around, and push the lessons that follow down automatically with a few clicks. Flexibility can also refer to various calendar viewing and date selection options, such as monthly, weekly, daily and list views. Education veterans know that there are as many ways to write lessons as there are teachers. Formats can differ depending on the school, grade level, content needs, and teacher experience. Successfully moving lesson plans to the cloud includes providing the flexibility teachers need to thrive. Templates and section headings need to be adaptable without sacrificing other features like accessibility and collaboration. Further, these customizable content areas can include file attachments for easy access to related assignments. Student information systems with integrated lesson plan functionality make lesson plans and graded assignments more cohesive. Teachers don’t have to re-enter the assignment in a separate area or grade book – it’s all in one spot. The lesson plans that fill up a school year don’t exist in a vacuum. Teachers need to be able to keep an eye on the big picture topics and units that need to be covered each year, and a modern, cloud-based lesson plan system should make this easier. Creating and saving lesson plans within a broader unit also makes sharing and improving the content more efficient. A student information system can make this perspective possible by laying lesson plans out in daily, weekly, and monthly formats – which is especially helpful when teachers need to move, extend, or repeat lessons. These views should also be able to accommodate teachers with rotating or alternating schedules. Click here to speak to a Gradelink representative about moving your school to the cloud.